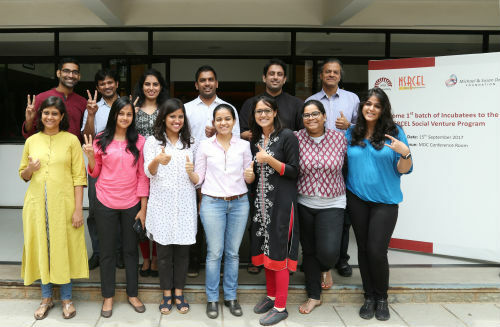 Bengaluru: The eight early-stage organizations selected by IIM Bangalore’s N. S. Raghavan Centre for Entrepreneurial Learning (NSRCEL), under the social ventures program for incubation over the next 18 months, were inducted on September 15 (Friday), 2017, in the presence of IIMB faculty, mentors and NSRCEL members. The entrepreneurship and innovation hub of IIM Bangalore – NSRCEL – had launched its social ventures incubator in April this year, to nurture early stage non-profit organizations. Through this initiative, NSRCEL Social aims to address the lack of an effective support system for early stage NGOs that are offered little or no technical assistance for fund raising, legal issues and operational challenges. One of the first social incubators of India exclusively for non-profit organizations, it aims to help create a pool of high-performing organizations that can create large-scale social impact. The social ventures incubation program is currently supported by the Michael & Susan Dell Foundation. These selected ventures will be incubated for a period of 18 months and given financial support of INR 18 lakhs. The goal of the NSRCEL Social Ventures Program is to help the ventures build a mindset to scale and impact. NSRCEL will put in place an M&E framework to periodically track progress of the ventures through joint goal setting efforts of mentors and ventures and enable a three pronged mechanism of self, peer to peer and mentor review system in place. NSRCEL also intends to foster cross learnings and sharing of best practices through the mix of programs and other incubatees under its fold. The selection process for the program started early April this year. The centre received over 160 applications, out of which 24 were selected spanning diverse sectors like education, livelihood, financial inclusion, etc. The 12-week pre-incubation program for these ventures included mentoring, classroom sessions on critical strategies, field visits, boot camp, networking and intensive review sessions. Shortlisted ventures were pitched to an advisory committee before the final eight were selected. The incubation will give the ventures access to resources at IIMB and leverage the support system created for non-profits. The incubator is guided by an eight-member advisory committee comprising established non-profit and business leaders and faculty of IIMB. It leverages the expertise of NSRCEL-IIMB in nurturing for-profit organizations for over a decade, faculty members and student communities at IIMB. The induction event, on September 15, was organized for the very first batch of incubatees. All the ventures have been assigned an anchor-mentor who will guide them throughout the program. The incubatees will also have access to the large pool of industry experts, IIMB faculty, alumni and resources at NSRCEL during the program. Other than the agreements and documentation formalities, the day’s activities included walking the ventures through the incubation plan brief, designating anchor-mentors, followed by a goal-setting workshop that will facilitate the formulation of the M&E framework to track their progress. 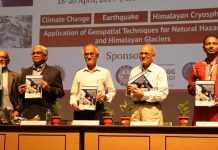 Prof. Mukherji’s advice of maintaining this balance was echoed by the mentors as well. They advised the incubatees to be rooted in reality while trying to think beyond the norm, take risks, disrupt, and identify and solve difficult problems.